A teenager needs a triple organ transplant after a rare condition has left her with the organs of a 'pensioner'. 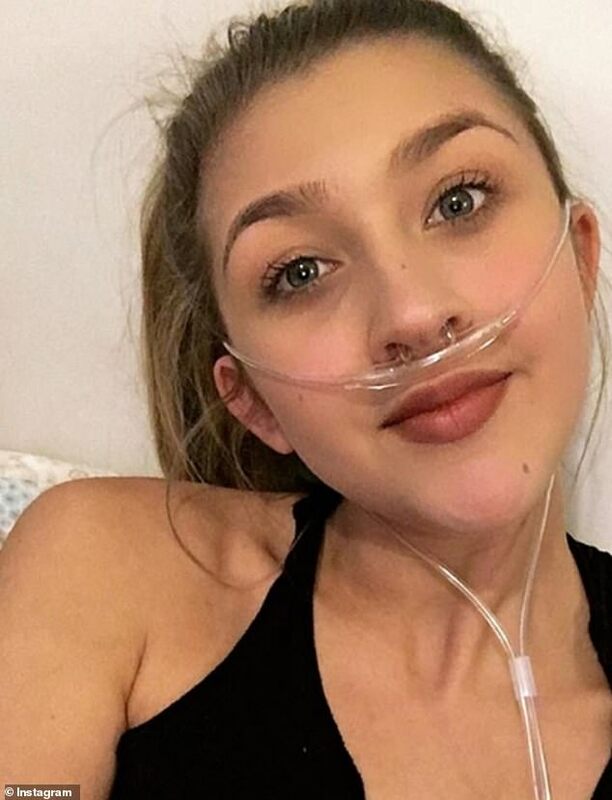 Yasmin Swift, 19, from Ashford, Kent, needs a double lung and a heart transplant because of her idiopathic pulmonary arterial hypertension. Doctors were initially baffled when the former cheerleader began struggling to breathe after climbing a flight of stairs and experiencing severe chest pain. However, this does little to ease her suffering, with the teenager's life being turned upside down as she has been left too exhausted to go out dancing or to festivals with her friends. Speaking of her symptoms, Miss Swift said: 'It was about a year ago that I started getting really unwell and I started feeling really short of breath, literally just going up a flight of stairs. 'I had to stop. I felt really tired all the time. I started feeling quite faint as well and I would get chest pains. Despite finally being diagnosed and receiving treatment, Miss Swift says the medication does little to ease her suffering. 'They put me on medication that was strongest for me but it didn't do much,' she said. 'It's a very varied condition though, that's the hard thing. 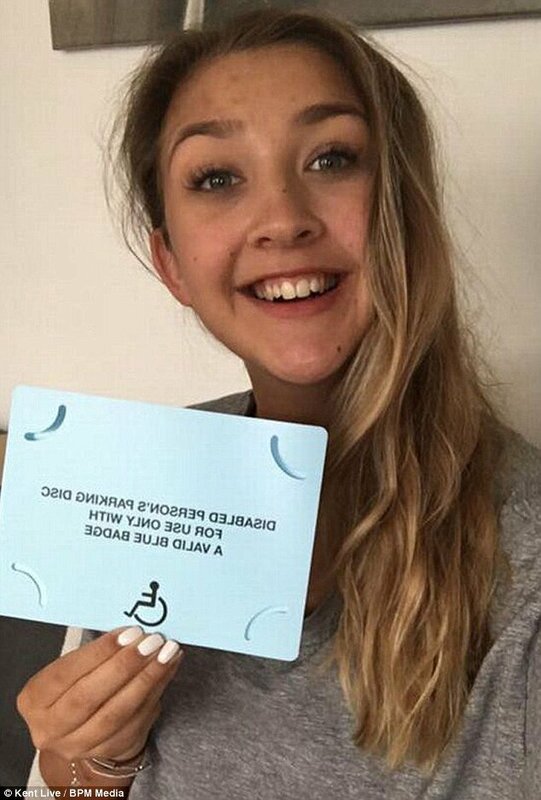 The teenager hit headlines in July after a driver left a rude note on her windscreen saying she had parked illegally in a disabled spot despite her blue badge. Miss Swift posed the note on Facebook, with it claiming she was 'not disabled' and threatening to alert the authorities. 'It makes you angry that people judge you on your appearance and don't know what you go through on a day-to-day basis to get to that point where you can go out and enjoy yourself,' Miss Swift said. Although Miss Swift, who was a cheerleader at secondary school, looks like any other teenage girl, she claims her life has been turned upside down since her diagnosis. 'I used to love going to the gym, I used to go about five times a week,' she said. 'And I used to love dancing too and going to festivals. I would be out every weekend but I have had to stop that massively. 'I'm with my friends for takeaway nights and if there's a birthday I would be there, I don't want to miss out on things like that. Although Miss Swift managed to go to a festival this year, she was forced to use disabled access. 'It really took it out of me for days afterwards too,' she said. Going on holiday has also become a struggle as Miss Swift finds it difficult to breathe in the heat. She is aiming to raise awareness of her condition by posting about it on her Instagram page. Her family and friends have also been raising money for Pulminary Hypertension Association UK, which has been supporting Miss Swift since her diagnosis.